We are very sad to say goodbye to Lisa Barton who flew back home to Canada today. All the best Lisa and keep Crossfitting! We look forward to seeing you back in Oz someday soon. We are very excited to announce that Keegan Wolfenden will be relocating to Brisbane in June to join the CrossFit Brisbane Trainer Team. Keegan finished 10th in the Open this year and is fast becoming the Competitive CrossFitter to watch on the Games scene. With a background in professional sport we are excited to have him join the team, and we know that he will be a great complement to the existing crew. Please note that the gym will be closed today for the ANZAC day holiday. Here is a WOD that you can do at home. We will be holding a Competitors clinic on Saturday, 16/6/2012 at 9am for ANY CFB members interested in competing over the course of the next year. 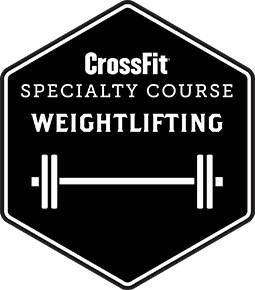 The workshop will explain how to train for competition using the CFB programming template, discuss preparation for next years open/regionals (including working weaknesses) and allow time for a general Q&A. Now that the smoke has settled on Regionals it is time to start training for next year. If you are interested in competition, existing and new competitors alike, come along.